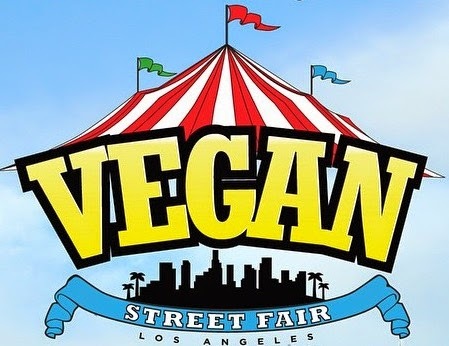 This past weekend saw the first ever Vegan Street Fair in Los Angeles! I, like most other SoCal vegans, was super stoked to witness the awesomeness of another vegan event! With over 40 restaurants and food vendors participating, plus some rad t-shirt companies and other vendors that were attending, how could I NOT be excited?! Plus, entrance was free and I loved the idea of eating small bites from a bunch of different food vendors instead of paying $10 for a large plate of food from just one restaurant that would fill me up. The lineup of restaurants/bakeries/clothing companies/etc. was pretty sweet - Mud Hen Tavern, Doomie's, Life is Sweet Bakeshop, Organix, Bramble Bakeshop, and Herbivore Clothing were just a few I was excited about! The event was also unique in that it utilized tickets instead of cash for food. You buy a few books of tickets (it was $8 for 12 tickets, and food was priced from 1 to 6 tickets), and then exchange the tickets for food at the booth of your choice! This was set in place to expedite lines and avoid delays that cash/credit card purchases inadvertently cause. It was modeled after other successful food fairs that use the ticket system as well. The start of Vegan Street Fair! 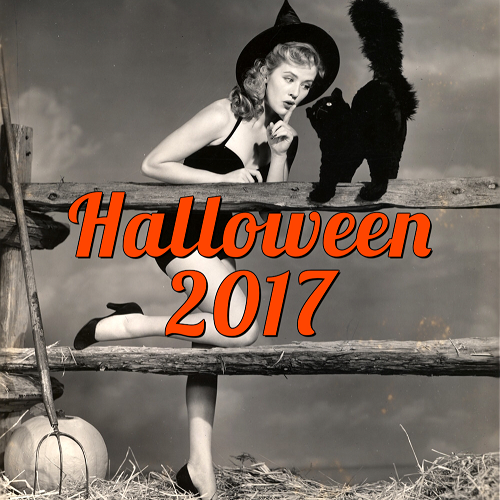 Though Sunday called for rain, I packed my umbrella, my trick or treat tote for stuffing leftover goodies in, and made the drive up to North Hollywood with Mister Spooky for the event, because not even rain could keep me away! I arrived early as I had been invited to mingle with other press before the general public was allowed access, so parking was pretty easy. I got to see many of the booths getting set up and chatted with old and new friends from the vegan community. Stumptown Coffee (mmmmm, yummy cold brew!) was on-hand to serve us coffee and ensure we were perky enough to zoom through all the booths! The excitement in the air was undeniable, and we all eagerly awaited the opening of the ticket booths! I will say that it was a tad unorganized - I had no idea where to pick up my press badge (finally found the unmanned badge pick-up), the scheduled photo was never taken (at least not that I was aware), and everything kinda ran late, so we didn't have as much time before the general public was allowed in. However, this was their first year so I gotta cut them some slack! And you could tell everyone was working really hard and stoked for the event! When the ticket booth finally opened, I bought 8 sheets of tickets (12 tickets per sheet) for Mister Spooky and me (total cost: $64). We had about 15 minutes before everyone else was allowed to purchase tickets, so I made a beeline for the booths I had scoped out earlier. My first stop was Donut Friend, where 4 tickets got me a mini S'morrissey donut ("a chocolate cake donut filled with toasted marshmallows and topped with chocolate glaze and graham cracker crumbs"). I had never had Donut Friend before, so I was stoked on trying them, but the mini donut left me kinda underwhelmed. It tasted a little stale and seemed pricey at 4 tickets. I really wanted to try all their other flavors, but didn't feel like using my tickets on them. Oh well, I'll just have to visit their actual location to try some fresher, full-size donuts. Next stop was Mud Hen Tavern for their take on bahn mi sandwiches. Wowie, this may have been my favorite from the whole street fair! This jackfruit-based bahn mi was served on foccacia-like bread and the fillings and sauces were damn tasty! I wish I would have eaten 10 of these! One bahn mi set me back 6 tickets. As an added bonus, this was probably the best-run booth and they kept the lines moving super quickly! I can't say no to tacos, so we tried Joni Marie Newman of Just The Food's booth, where she was slinging some delicious Spicy Korean BBQ Jackfruit and Flaky Fish-y tacos! The "fish" tacos were Mister Spooky's favorite of the whole street fair! He liked them so much we went back and ordered them twice! Each taco was only 3 tickets, and this booth definitely wins for giving us the most bang for our buck! Fairly priced and delicious! 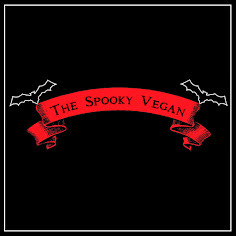 We picked up a sandwich from One Veg World (when Mister Spooky asked what they had, they just said "a sandwich", so no idea what it was supposed to be...really horrible customer service there!). It was a really plain sandwich, and WAY overpriced at 6 tickets. I didn't even get a photo of it because it was so bad/sad. I felt like they put no thought into it and it was just thrown together with scraps. I had been wanting to try this place for a while, but now I have no desire to go because of their horrible customer service and crappy sandwich. Probably the worst thing I ate there. I have always loved Bramble Bakeshop's goodies, but I only get them at these types of events, so her booth was definitely a priority and I ran there next (especially to wash that awful taste of One Veg World out of my mouth!)! She was selling Brambleberry and Churro cheesecakes, an assortment of delectable macrons in many intriguing flavors, and a few other goodies like peanut butter cups! I got a slice each of the brambleberry and churro cheesecakes and macrons in Confetti Crunch (filled with Capt Crunch buttercream!) and Pistachio Peach flavors! ALL of the goodies I tried here were highlights of the street fair! Bramble Bakeshop's Brambleberry Cheesecake was my favorite of the event, right alongside Mud Hen's bahn mi! Each cheesecake was 6 tickets, and the macrons were 4 tickets each. After that, the street fair got really crowded and by 12:30 you could barely walk anywhere due to the crowds and long lines that kept blocking the walkways. It was packed! I had to skip a lot of the booths I wanted to try because the lines were too long, I couldn't even find the line for that particular booth, or I couldn't tell what they were even serving since I couldn't see any signage. Despite the suffocating crowds and long lines, I was able to squeeze in a few more food places. I tried the Shepard's Pie at Rabbit Hole Cafe, which was made with grilled, herbed veggies, beans and grains topped with sweet potato cauliflower mash. It was really tasty, hearty and filling! I also loved the whimsical Alice in Wonderland look of this cafe's signage and logo! I hope to one day make it up to their actual cafe in Agoura Hills. The Shepard's Pie was 6 tickets. I was also delighted to see SunCafe Organic there! They make THE BEST vegan mac 'n' cheese I've ever had, so of course I had to order some! As usual, it was incredible and I just wish I had ordered MORE from them! I did get a few of their cookies and brownie to try from their pastry chef extraordinaire Jenny Bradley, but I took those home and am looking forward to eating them soon (let's be real, they will probably be gone by tonight)! UPDATE: I ate them! And they were so freaking good! The brownie was absolutely decadent and had the perfect moist texture without being too cake-like, if you know what I mean. The Lemon Sugar Cookie (which was gluten-free!) was the perfect amount of sweet and I liked that it was soft but still had a nice chewy texture. My fave of the trio was the Almond Butter Snickerdoodle (also gluten-free), which had the most amazing flavor! The mac n cheese was 6 tickets, I believe the treats were 4 tickets, but they were on the house for me courtesy of the fabulous Jenny! At this point we were really thirsty, so we waited in line for 10 minutes for an overpriced lemonade from some lemonade truck. I think it was 6 tickets for a small, plain lemonade, which was a major rip-off since it was maybe 8 oz. (though probably not even that much since it was mostly ice). They also had fancy add-ins for 2 or more extra tickets. I wish there had been more drink options (and maybe a dedicated water station) with better prices. Vromage, the new gourmet vegan cheese shop in LA, was there and I made it my next stop. I bought both varieties of cheese they were selling (6 tickets each) and some crackers (4 tickets). The tiny bag of crackers for 4 tickets was pretty insulting - I think those definitely should have been free with the cheese. I took these to-go, and haven't tried them yet, so no verdict on the cheese. Definitely should have skipped buying the overpriced baggie of crackers, though. UPDATE: I ate the cheese and it was ridiculously delicious! The crackers were really good as well, and to be fair, they did last through both of the cheeses. Still think they should have come with the cheese when you bought it though! It was even more crowded at this point, and pretty impossible to get anything without waiting 20+ minutes in line, so we opted for one last stop at Clean South, a food vendor I hadn't even heard of. However, word of mouth was that their fried chick'n was worth standing in line for, so that's what we did! They had everything pre-prepared, so the line moved pretty quickly. We probably waied 15 - 20 minutes (the longest we ever waited the whole event). Their fried chick'n looked like the "real" thing, and I really liked it a lot! It was a big portion, too. I believe it was made out of seitan. My only gripe was that mine was cold when I got it. Still pretty good, but definitely would have been better warm. I also tried their Buffalo hot wings, which were finger-lickin' good! Both the fried chick'n and hot wings were 6 tickets each. 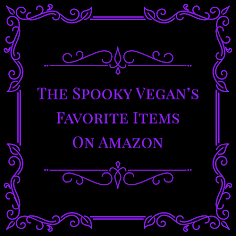 I was unable to hit all the vendors I wanted to (I'm sorry I missed Broke Hungry Vegan, Doomie's, Organix, Luscious Organic Desserts, Life is Sweet Bakeshop and so many more! ), but I feel like I got a good chunk of yummy food in AND we spent all our tickets! We definitely didn't want to stand in the line for more tickets (it was nuts! ), so we ended up leaving around 2pm. This was actually lucky, since this meant we totally missed the crazy hail storm that happened at 2:30ish! I know a lot of people were complaining about the long lines, how crowded it was, how some items were priced too expensively, etc. I experienced the same issues, but it's a street fair - people should probably assume there are going to be lines and crowds! Crowd control could have been a bit better, but it's tough to wrangle such big crowds. I think it would help if the vendors themselves were better prepared, have better signage, etc. I did think a few things were overpriced (ahem, lemonade! ), but things were mostly priced fairly. Sure, I didn't get to try as much as I wanted to, but I'm happy so many people were stoked on vegan food! Not to mention the sheer number of awesome options we had to choose from! Overall, I had a really great time at the first ever Vegan Street Fair! I ate a lot of phenomenal food, got to see some old (and new!) friends, and it was amazing to see so many people excited for vegan food!! A big thanks to the incredible organizers of this fun event, as well as to all the (mostly) friendly vendors that came out! 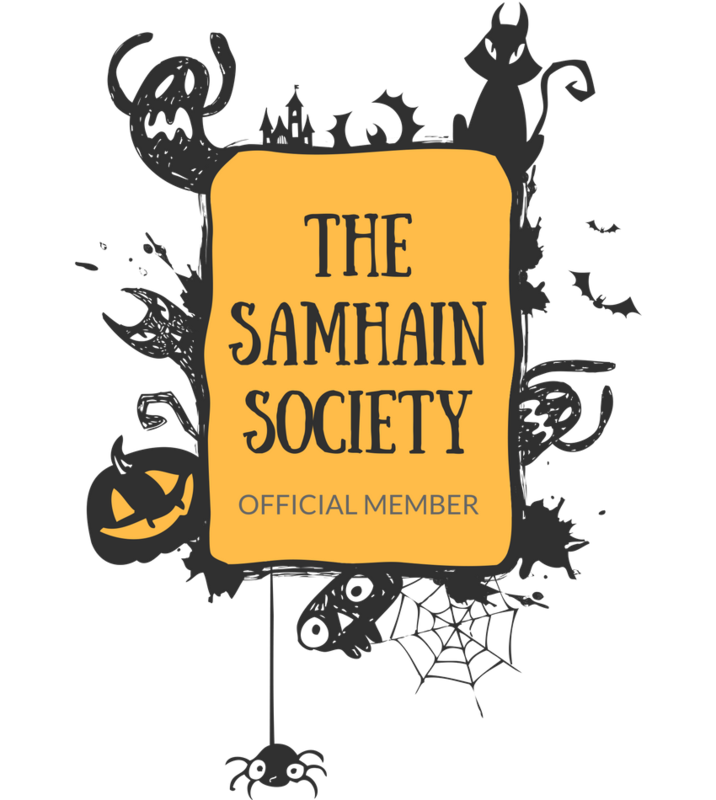 I had a spooktacular time and I hope they continue this event in the future. I believe the organizers also have plans to bring this event to more cities across the US, so keep your eyes peeled for more info on this and your town might get their very own Vegan Street Fair! For more info, you can visit Vegan Street Fair's website!